Just 400 years ago, Chr. IV started the construction of the stock exchange. From its inauguration, the building, as with its winding dragon tower, is Denmark’s most iconic building, has been a center for trade in Copenhagen. The building has in turn been owned by the royal house and private – but since the Danish Chamber of Commerce took over the building in 1857, Børsen has been owned by Danish companies today represented by the Danish business organization Dansk Erhverv. 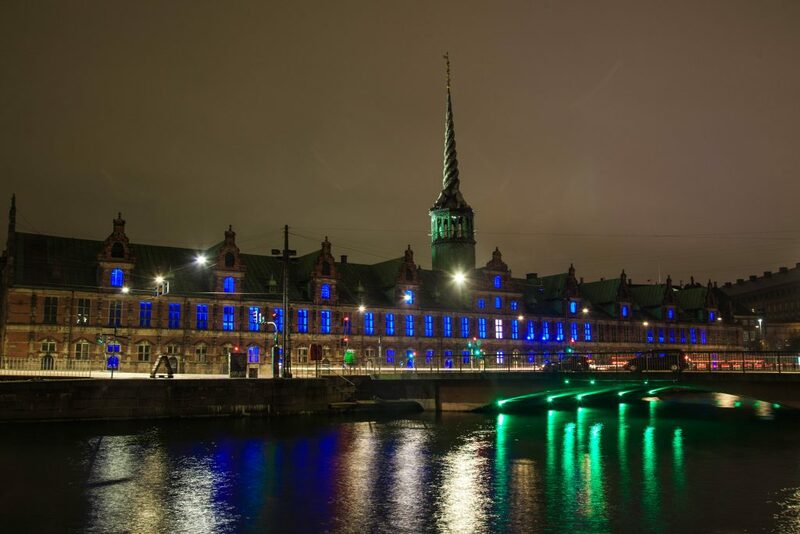 Copenhagen Light Festival creates a large light installation in the beautiful building windows, which faces the Frederiksholms Canal. To emphasize that Børsen is still a trading center, the windows will be illuminated in shades of blue. The light will be static.